Finite Solutions are committed to providing our clients with long term support and service for their smart home, audio visual, lighting and security installations. Smart Home installations can be large and complex and things can go wrong from time to time. All smart systems should be supported and maintained regularly to ensure they are running to their optimum potential and delivering the most benefit to our clients. Finite Solutions take a proactive and friendly approach to service and support and we are always on hand to help our clients through any issues which occur. Over the course of a smart systems life there will be numerous software and firmware updates that become available and it is vital to ensure that these updates are installed to our clients system to ensure systems remain secure, reliable and capable of delivering the very best performance. 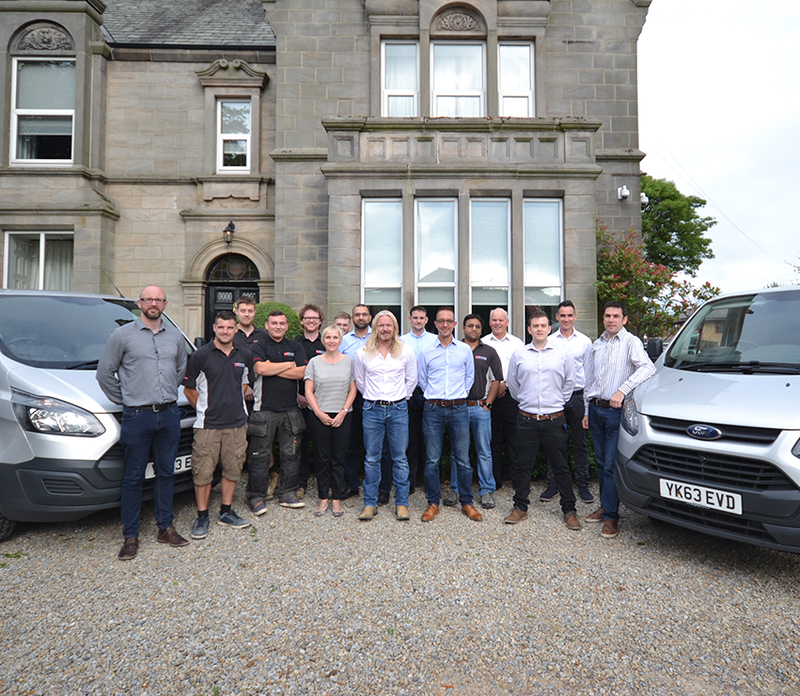 Service and client care is extremely important to Finite Solutions and we have a full time service manager in our head office and dedicated support engineers in house. Any service issues are logged through a professional support ticketing system that ensures all issues are dealt with in a timely manner, clients are kept informed and issues are seen through to complete resolution before a support ticket is closed. All service issues are logged to each property allowing us to maintain a history of any issues and resolutions which are provided in an end of year report for our clients to consider when a support contract is ready for renewal. Both hardware maintenance and software updates to maintain optimum performance are vital and we firmly believe in a proactive service program for all clients. Our service packages all include on site system health checks where equipment is thoroughly cleaned and dust build up removed, connections are tested on all central equipment and all functionality of the wider system is checked in each room of the property. This proactive approach allows us to keep equipment clean (dusty equipment overheats and fails more quickly), to keep systems up to date and to find and resolve many issues before our clients are even away of them. Our first port of call for any services issues is rapid remote support. We highly recommend base levels of networking and system monitoring hardware is installed in all of our projects as this gives us the ability to log in to our clients systems and diagnose and rectify many potentials issues. Other companies may not specify the equipment to allow remote monitoring and support which means a cheaper price upfront but poorer service and support for the remainder of the life of the system which we firmly believe is a poor trade off with respect to true value for our clients investment. Our remote monitoring solutions also provide proactive monitoring of our systems which alerts our service manager to equipment responding strangely or not communicating which allow us to log in to and resolve many issues before our clients even became aware of them. All our projects include a minimum free service period of 6 months, although 12 months is typical, during which time any service both remote and on site is free of charge. At the point of practical completion of your project our service manage will speak to you in person and provide all the information required for contacting support and the options available for extending your service upon conclusion of your free service period. Finite Solutions understand that every system and every client is different and have different support requirements depending on how much time they spend in the property, how technical they are and how quick a response they require to any issue. For this reason all support packages from remote only to 24 hour on site response with varying numbers of proactive system optimisation health checks are tailored to each client individually. We believe this approach allow us to deliver the best value for money and service to our clients and we are dedicated to finding the perfect solution to your needs. We take pride in the tremendous creativity, quality and functionality we put on our home cinema installations. Many of our projects has been awarded by the leading home improvement bodies.